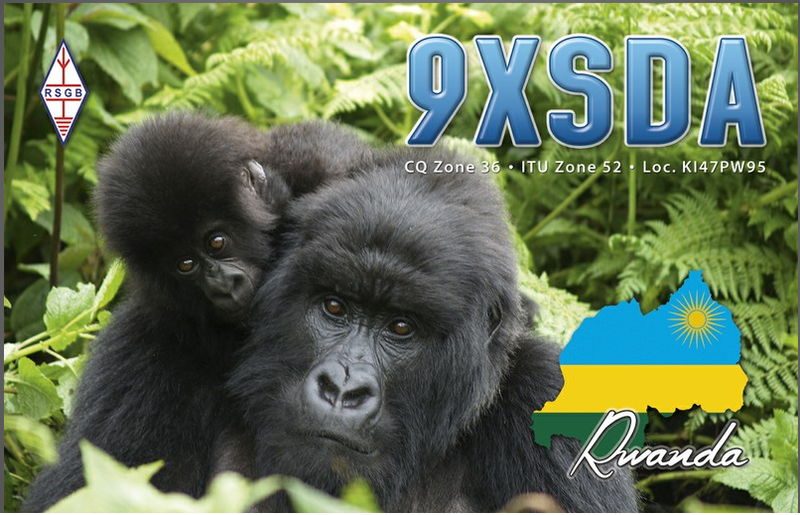 9XSDA Rwanda Christian, M0UPL, informs dxnews.com, that he will be active as 9XSDA from Rwanda, 11 - 18 February 2018. Call is issued by RURA Kigali, Rwanda for this occasion. SDA stands for Seventh Day Adventist Church. He will operate on 40 and 20m SSB mainly. Cristian Panaitescu, 131 Stafford Road, CR0 4NN, Croydon, United Kingdom. 9XSDA. Rwanda. 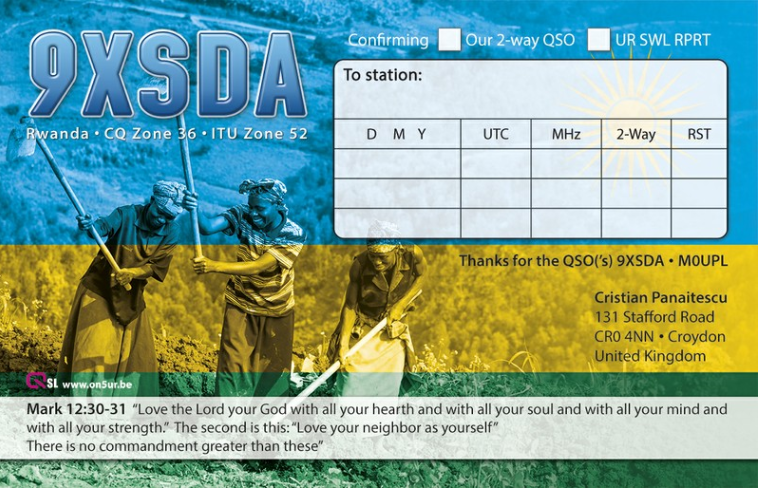 QSL Front side. 9XSDA. 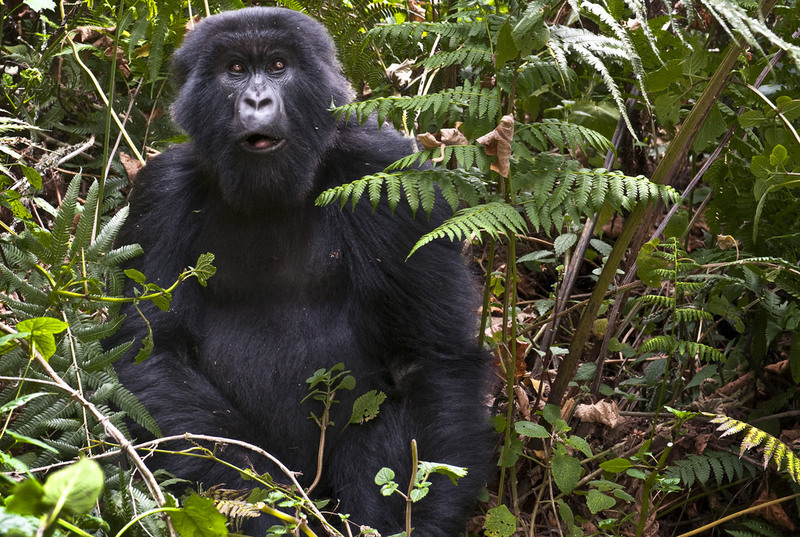 Rwanda. QSL Back side. Adventist Amateur Radio Association. Banner. 9XSDA. Where is Rwanda located. Map.